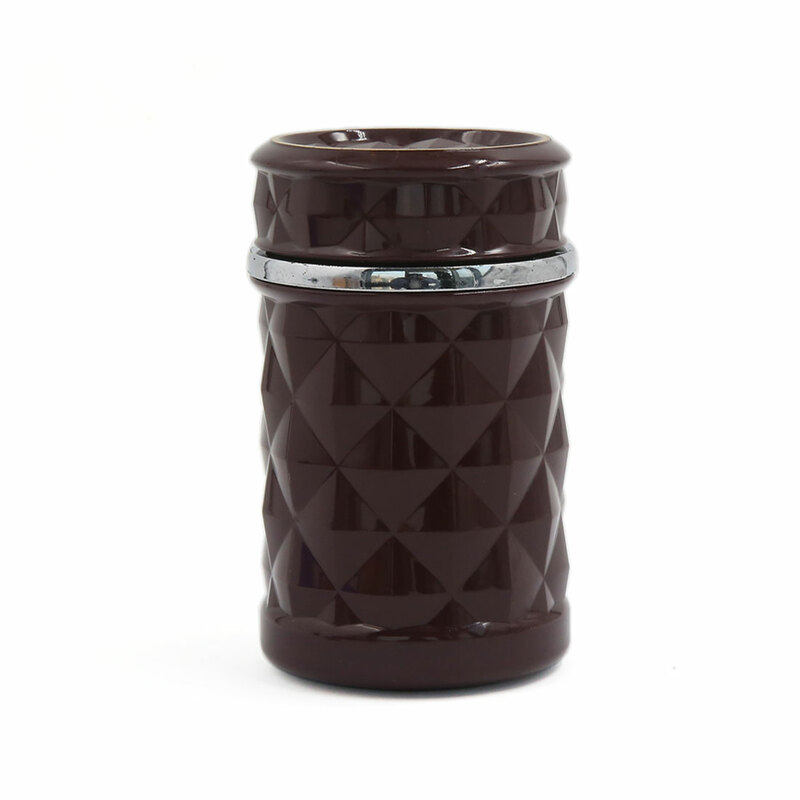 Cylinder design, easy to open the lid. Premium luxury design, fit most car cup holder. When you open the case up to 90 degree, the light turned on. Inner blue LED for easier and safer nighttime aching. Can be removed for easy cleaning. Smoke from aflame cigarette can be absorbed and filtered out by activated carbon. Fast way to absorb cigarette smoke. Ideal for office, home and car use.